When we saw this groom’s reaction to seeing his bride for the very first time in her bridal gown, our hearts completely melted. It was one of those super sweet moments that expresses just how much love Anthony has for Laina. Add in a beautiful, sunny September day, a gorgeous vintage engagement ring, classic florals, and a glamorous keyhole-style gown (to name a few) and you’re set for a pretty perfect celebration among family and friends. Lucky for us, Susan Hennessey Photography was behind the lens capturing every moment on camera and today we’re giving you a glimpse into Laina and Anthony’s wedding day at the Westbury Manor. From Susan Hennessey Photography…Laina and Anthony were married on a pretty September day and their wedding was filled with such gorgeous details (like Laina’s vintage engagement ring) and we had the most stunning morning light for the first look and ceremony. Anthony was one of my most emotional grooms ever and I loved capturing his excitement and his tears as he saw Laina for the first time for the first look – such a priceless moment! Following the first look, we used every inch of the Westbury Manor to capture photos of just the two of them. These two were so easy to photograph, Laina had the most stunning smile and the two of them together were just so photogenic! 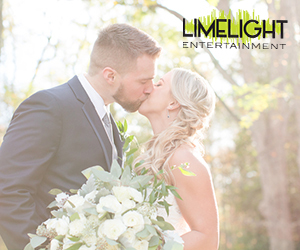 During their sunny outdoor ceremony, there was not a dry eye in the audience when Laina walked down the aisle. Throughout their highly personal ceremony, they wrote their own vows and Laina’s Aunt sang a song that was deeply personal to them while her father played guitar. Once the adorable and hilarious speeches concluded and dinner was served, I loved capturing all the dance moves from their group! But before their day concluded, Laina jumped on the microphone and sang with her bridesmaids, her grandfather performed a song and her dad played another song while our love birds danced away on the dance floor. such a stunning happy couple ! !